Whether you’re training hard, spending all day out in the heat, or have someone in your household experiencing diarrhea, food poisoning, or a nasty bout of the flu, this DIY natural electrolyte drink is the perfect solution to help the body stay hydrated during hardship. While I typically try to sip on nourishing bone broth when I’m sick, sometimes—even bone broth can be hard to stomach. This DIY natural electrolyte drink is light, refreshing, and easy to drink, which is especially important when it’s the kiddos who are sick—not you. It’s also incredibly easy to make (just put in a jar and stir), and packs a punch of vital nutrients the body needs to function. In short, this DIY natural electrolyte drink recipe has a variety of uses, making it a year-round staple just about anyone can benefit from. 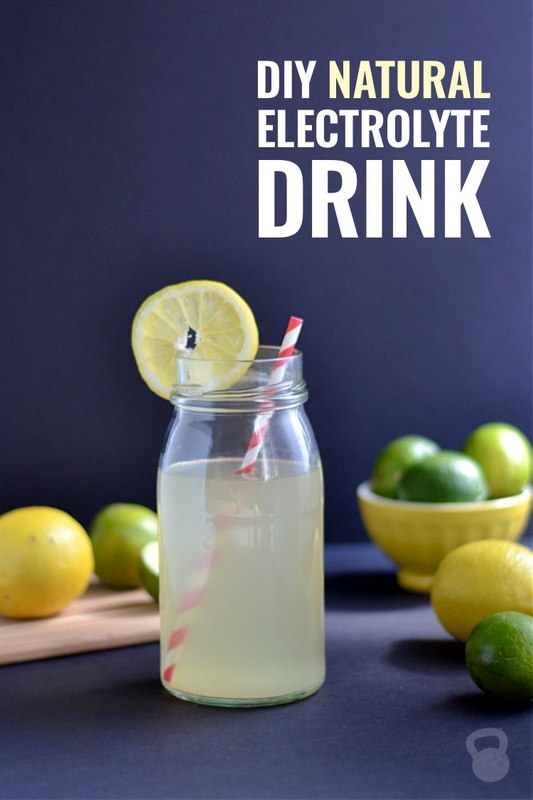 Why use a DIY Natural Electrolyte Drink? When you sweat or lose bodily fluids rapidly, you not only lose water, you also lose electrolytes, which are minerals in the body that have an electric charge. The major electrolytes include sodium, chloride, potassium, calcium, bicarbonate, phosphate, and magnesium. Electrolytes are in charge of delivering nutrients into cells, balancing the pH of the blood, and the contraction and relaxation of muscles—including the heart. Maintaining proper hydration and electrolyte balance during sickness or extended physical exertion is crucial because it allows the immune system and organs to continue to function properly. When imbalanced, bodily processes are compromised. 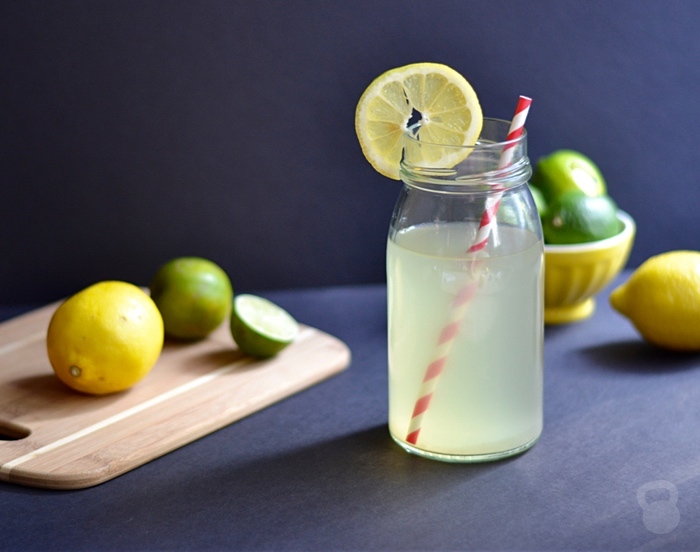 The electrolytes our body needs, as well as other important vitamins and minerals, occur naturally in whole foods that can be easily used to create a DIY natural electrolyte drink. 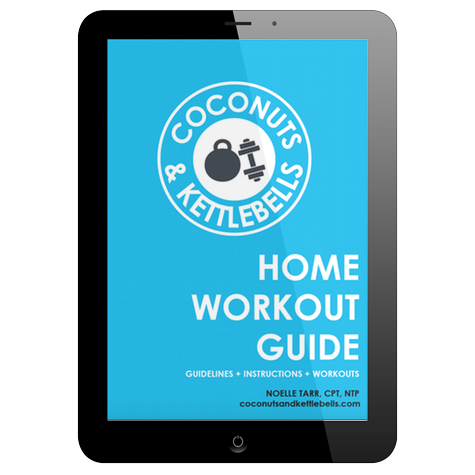 The primary ingredient, coconut water, has often been referred to as “nature’s gatorade” because it contains a variety of electrolytes including sodium, potassium, and magnesium. The other major ingredient, lemon or limes, are a good source of vitamin C, enzymes, and electrolytes, including calcium and potassium. Raw honey contains antioxidants, a wide array of vitamins and minerals, and has antimicrobial properties (bonus when your immune system is compromised. ), Sea salt, the kind that is unprocessed, contains 15% trace minerals, making it a concentrated source of a variety of electrolytes and other minerals. Together, these ingredients make an incredibly tasty and effective DIY natural electrolyte drink that can supply the body with a concentrated source of nutrients. Cheers! Will last 4-6 days in the fridge. 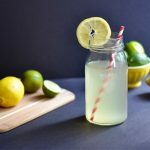 Got any questions about this DIY natural electrolyte drink recipe? Have other variations you’d like to share? Comment below! Wow Noelle! This drink is AWESOME! I have already made it twice in the last 24 hours after being all sweaty from working out and being outside. Thanks!! can anyone suggest a good Organic coconut water? NOT one that’s been processed to heck and back…! Hi Ree! The one I recommend is linked in the post above. C02 is my favorite. 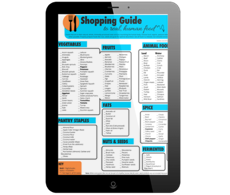 Trader Joe’s and Whole Foods also have a ton of options. Just look for “coconut water” in the ingredients and nothing else. Oooh, what a great idea! I’ll have to have my girlfriend try this, she works outside all day and in this 90+ degree weather she needs this, and it’s a lot healthier than Gatorade!! I stumbled across your site and absolutely love it! Thank you for getting back to me! I am going to try this drink and let you know how it goes! Sounds delicious! Can’t wait to try it! Looking for something to keep me hydrated in the first stage of labor. Think this would be good? I just learned I have a bit of a cholesterol problem – not high, but not normal, either. Prescribed drug made me lightheaded, with a drop in blood pressure. I stopped after four doses/days. I, like others, want to control it with the right foods, not drugs. When my niece sent me your link, I felt that this could be my answer! Thank you for sharing this recipe. I am currently training for a marathon and wanted something natural as opposed to energy gels. I trialled this cocktail this morning during a training run and it worked very well for me. So glad to hear it! I’ve used it during labor, breastfeeding, and hot activity. It’s worked wonders in all scenarios! The recipe seems fitting for an electrolyte imbalance. You don’t mention how much should be consumed at one time and how often or have missed something? There is no recommended intake. All depends on what you need! Treat it like you would water/any other sports drink. Can this be frozen to last longer before drinking ? Hi there! You can, but it would probably change the consistency once thawed. I have hyponatremia, cause unknown. I am on a 1200 ml a day fluid restriction. That’s about a quart and a cup. I need a drink that is not acid because my mouth is sore from being dry. Do you have any ideas? I don’t. I would really recommend talking with your health care provider about that so they can take everything into account regarding your medical history. I haven’t tried the recipe yet, but I’ve been looking for one for our 16 year old, basketball-playing granddaughter. 🙂 I appreciate you including a link to the coconut water you use. There are SO many out there that it gets confusing. After reading the ingredients I realized that the best coconut water is from young coconuts… not mature coconuts. Is that accurate? Is there a huge difference in nutrition? Very little difference. Young coconuts produce more water. Just make sure to find one without any added sugar and you should be great! This recipe is also great with just water. With my toddler when she’s sick, I typically add a bit more honey. I haven’t tried it yet, but love the sound of all the ingredients. I am having the Gastric Sleeve done in 5 weeks and read and heard how important it is to keep hydrated, so I thought I would Google it and yours is what I came upon first. If I alternate it with another 1 litre bottle of plain water, that should work do you think? I live in Denver and suffer from dehydration constantly. I’ve made this many times now and will never again use anything commercially-made. I do not cringe while drinking this. It’s wonderful. Thank you.